(tel: 502-493-1590), and we will explain its many advantages and how you can get started. 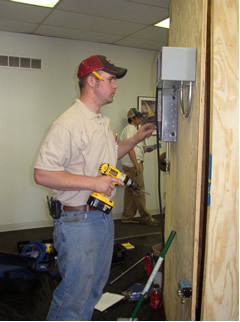 Apprentices must be full-time employees of an IEC member contractor who services as the "apprenticeship sponsor." 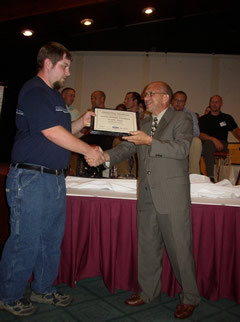 Apprentices attend class one night per week, for 39 weeks, August through May. 156 hours of instruction are received each year for 4 years. Apprentices graduate as an "Electrician", and many are ready to pass the Master Electrician Exam to receive their Master Electrician License. Click on the link to see list of member contractors for possible employment opportunities.